We are so happy you found us! When comparing daycare and childcare centers, it is easy to see the many differences in our approach and dedication. With a unique mix of technology-filled classrooms, highly trained educational staff, and nationally accredited curriculum; what we can offer your child sets us apart from any preschool or daycare near you. Kids ‘R’ Kids of Alpharetta is a learning academy that will give your child the educational foundation they deserve! We offer programs for infants, toddlers, preschoolers, pre-K, before/after school care, and summer camp to select schools in the Alpharetta area. 1/12: We hope to have you come and see us soon! 2/12: Come see us soon for a tour! 3/12: Our secure lobby is the heart of our school. We love to greet our families in this warm space everyday! 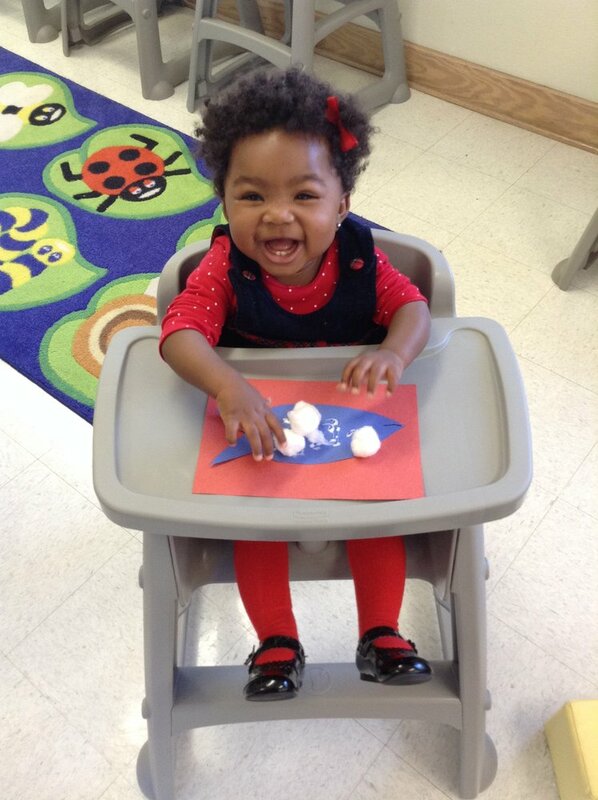 4/12: Our infants have bright cheerful classrooms with lots of room to play and explore their world! 5/12: Our playgrounds are age appropriate located right outside the classrooms in private gated areas. 6/12: Please stop by our school anytime for a tour! 7/12: Smiles and enthusiasm are contagious at Kids 'R' Kid Alpharetta! 8/12: The Kids ‘R’ Kids Staff is central to our success. Each member is carefully selected and extensively trained to provide the best in early childhood development and childcare. 9/12: Engaging activities thoughtfully engineered to encourage innovation, collaboration and imagination. 10/12: School buses with seat belts provide transportation to and from local elementary schools as well as to planned field trips. 11/12: The Kids 'R' Kids exclusive STEAM Ahead® Curriculum implements various activities to develop skills in science, technology, engineering, art and math. 12/12: Our School Age Program provides an engaging and collaborative environment.